At Veggielution, we sell our vegetables through two main distribution channels: our on-site Farm Stand, and our Farm Box program. Our Farm Box is a CSA, which stands for Community Supported Agriculture. You've probably heard the term CSA before, and if not, you're likely at least a little familiar with the concept. But what exactly is a CSA? Well, as the name suggests, CSA farms are supported by the community, namely CSA members, who sign up for the season and share in the harvest. There are many variations on the original CSA model, which in the U.S. dates back to at least the early 90s. Traditionally, CSA members pay the entire cost of the season up-front, in spring, for a share in the summer harvest, and receive fresh vegetables every week for the duration of the season. This model, unlike a typical market garden approach, gives the farmer an influx of cash early in the season, when most purchases – of seed, compost, and equipment – need to be made. A CSA allows the farmer to adequately prepare for the season with much more certainty, and financial security, than would otherwise be possible if they were growing only for farmer's markets or restaurants. With organic and local agriculture becoming more and more popular by the day, many farms have altered the traditional CSA model to better fit their own needs or those of their customers. This can mean home delivery, box customization week to week, and alternative payment plans, among other things. 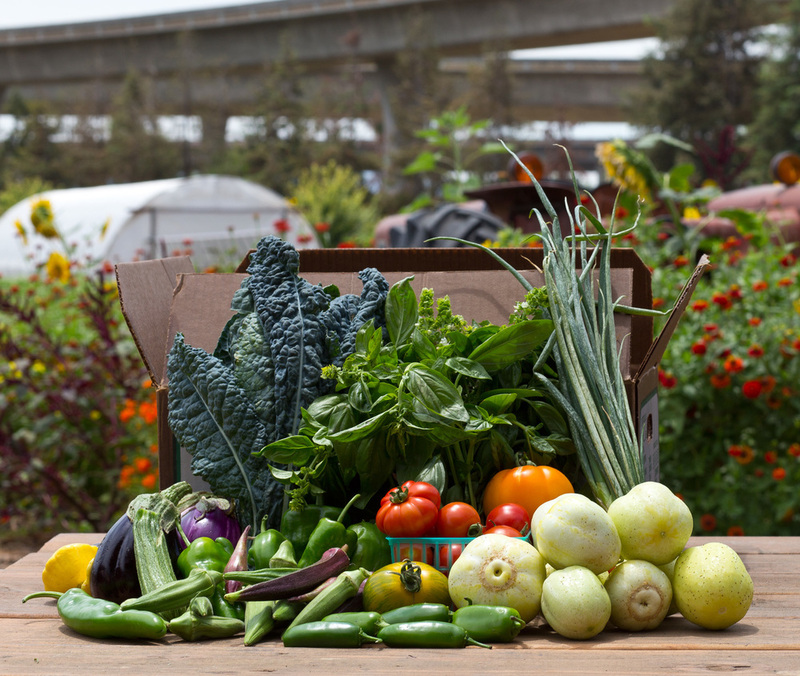 The Veggielution Farm Box program allows members the option to pay for their share either all up-front at the beginning of the season, or in monthly installments. This makes the program more accessible to people who want to participate in the CSA and support the farm, but who cannot afford the cost all at once. We also offer 30 subsidized shares in the summer season to low-income families. However, at its core, in theory as well as practice, the Veggielution Farm Box retains the principal guiding ideology of CSA: our Farm Box members are part of the Veggielution family, making an investment in the farm because they support what we do and want to see us thrive. Our Farm Box members are our partners in growing delicious, healthy food, sharing in the risks of weather-related crop failures as well as the rewards of super abundant harvests. Without our Farm Box members, Veggielution would not be able to do the work that we are so passionate about, and it is their support that allows us to push through the long, hot summer days and the colder, leaner winter months. There are a multitude of ways to support local, sustainable agriculture, and joining a CSA is definitely one of them. For tips on choosing a CSA, check out this article written by Elizabeth Millard of Bossy Acres CSA in Minnesota. And if you're interested in becoming a member of Veggielution's 2014 Summer Farm Box, click here to find out more!